I'm looking for some cold hard facts. 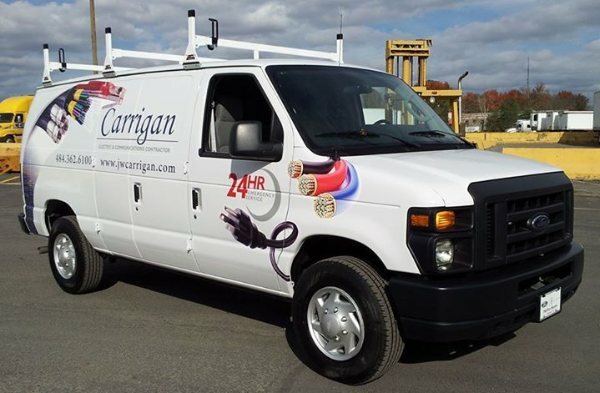 Apple Graphics Inc. has a presentation at BNI network group on Feb. 4th for 10 minutes and wants to be able to give some true stories on how effective vehicle wrap advertising really is. Me as a first example in my old business spent $ 4,000 on vehicle wraps with a truck and trailer and within 6 months sold $ 18,000 in business and $ 8,000 was profit. Mastercraft Landscaping got a tailgate wrap done by us and within 3 months he sold a $ 6,000 paver job from someone who asked for a card from looking at the wrap at a gas station. He could have easily used that tailgate wrap money and put an ad in a paper but at least he owns the wrapped tailgate and is still advertising every time he drives and its not costing him any more to rerun the ad. Tigersharks bar and grill told me they got catering jobs from people who saw the wrap. Here at Apple Graphics we know its the most effective because 90% of the wraps are from company,s that called us from the trailer wrap. Thanks to my clients from 08 and the start of 09 We have been in business for about a year now. I remember this time last year the 64 in. Mutoh (highest quality printer) was still in the box. Man I was so excited to get the thing installed. Made some mistakes along the way with some misprints, laminating, design, but seem to always get the job done. I almost always make my deadlines or communicate with the client on any delays for a smooth business transaction. The last thing I want to do is over promise and under deliver. As I head into the second year of this vehicle wrap industry I am just as excited as I was at first. We have lot's of new and upcoming jobs and events on the horizon. Internet Marketing being one of them. Its fun and I'm giving it a real shot trying to learn something new every day. Also we are having the open house sometime in March (we will keep you posted with an exact date) that should be a fun day. Everyone is invited from friends, neighbors, clients, business relations, and my BNI Ivyland group. The vehicle wrap training is something we are focusing on also. The people that got the training so far all had a great experience, learned a lot, had delicious food, and are probably wrapping as you are reading this because I know I showed them enough to do a full wrap no problem. So thanks for checkin in and we will keep on keepin on with the vehicle wraps, Truck wraps, we want to get into fleet wraps this year, motorcycle wraps, interior wall wraps, trailer wraps, you name it and we will wrap it. Serving philadelphia counties, Bucks County, Main Line Area, South Jersey, Delaware County, Berks County, Atlantic County NJ, and will travel farther if needed. I was on the Atlantic City expressway today and a guy in a huge new Benz drove up next to me then slowed down and got behind me ( I hope he took my phone number) then speeded up next to me again and gave me a thumbs up. When you drive with such custom graphics like my truck people just stare at you. Sometimes I forget about the wrap and I think the person is looking at me like they know me. Then I remember and say to myself (they are looking at the wrap). Here at Apple we offer custom design not just for advertising but also for customization of your vehicle, boat, trailer, race car, and more. We offer 3-D design that is unbelievable like the skull on my hood of the f-150 pick up. 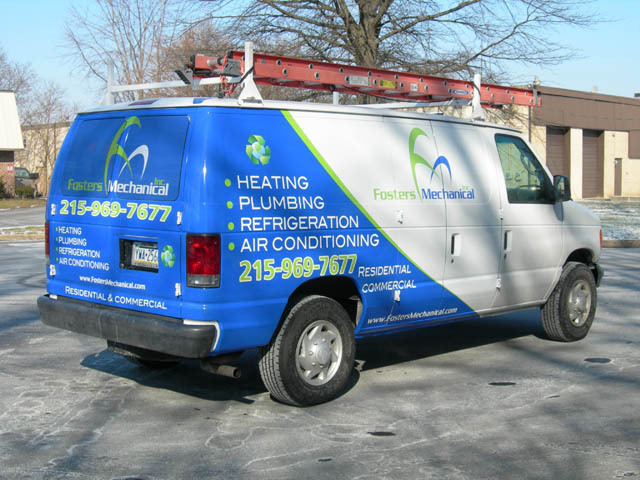 you can always call 215-322-WRAP(9727) to discuss any custom graphics for any type of project you art considering. Ok, yesterday on our Facebook video I said I would finish that partial wrap last night but I had to do some finishing touches first thing today before the customer picked it up. And this company was very with all the work completed on the van we wrapped. The design is very crisp and professional looking. I will get new photos on the website in the next few days. Partial wraps are very cost effective for your advertising dollar. If a full vehicle wrap is not for you or not in your price range a partial wrap is a great option. Usually if the price of a full wrap is out of reach and someone wants to do vehicle advertising I can make it affordable with the partial wrap. All I need is a budget to work with. If you want a partial wrap I need to know how much your budget is and then we here at Apple Graphics will make a proof to show you exactly what we can do for that amount of money. Also partial wraps are popular with fleet graphics. So no matter how many trucks or vans you have in your company you can look uniform with the partial wraps. We are working our way into the new media space by taking advantage of the latest marketing tools out there on the web. Today Denis (Our Web Guru) set us up on TWITTER.COM! He says this will allow us to communicate and engage our visitors and viewers of our website/videos. We will be updating twitter frequently so keep an eye out for us! Hey, I stopped by a sign shop to offer my services (installing wraps) and I picked up an advertisement for one of those company's that sells ads on those trailers with a sign on it with a banner in a frame. I can't believe how much they want for that. I can rent you trailer with a full wrap on it for probably half of that. I mean it was like $ 6,000 per month to have it driven around for a certain amount of hours a day. Today we have expanded our advertising by connecting our website to several well known, popular websites. You can find Apple Graphics on myspace and we also have facebook. Now you can watch our newest videos from our facebook, Search for us, Apple Graphics-PhiladelphiaVehicleWraps.com. Also, this is the link for our new webiste- www.215322WRAP.com is also now www.PhiladelphiaVehicleWraps.com. On our website our facebook is linked. Web advertising is very helpful, but still, the Apple Graphics trailer we have wrapped at 5 points in Levittown is still a very effective business advertising tool. Vehicle Wrapping, signs, banners, trailer wraps, rent-a-wrap, wrap training, interior design, graphic design, store fronts, window film, motorcycle wraps, tailgate wraps, partial wraps, vehicle wrap training. www.PhiladelphiaVehicleWraps.com Get noticed for what you drive.